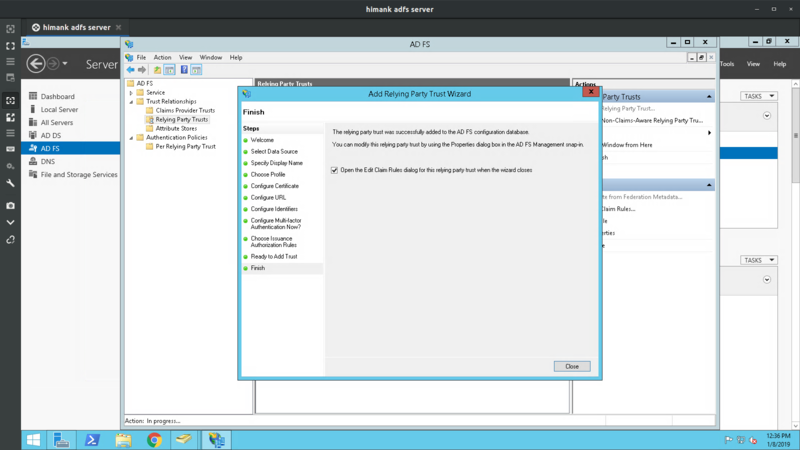 Integrating Microsoft Active Directory Federation Services (ADFS) is straightforward. In addition to configuring your Admin account on acquire, you will need your organization’s assistance in adding Relying Party Trust information to your ADFS configurations. There are several information we are going to cut and paste between Acquire and ADFS. Following the steps below, you can find these values and copy them from ADFS to Acquire and from Acquire to ADFS. You should read this guide all the way through, before beginning, so that you will be able to gather the necessary info for each step ahead-of-time. Once you have the required info, this integration should take less time. The screenshots below will help guide you. 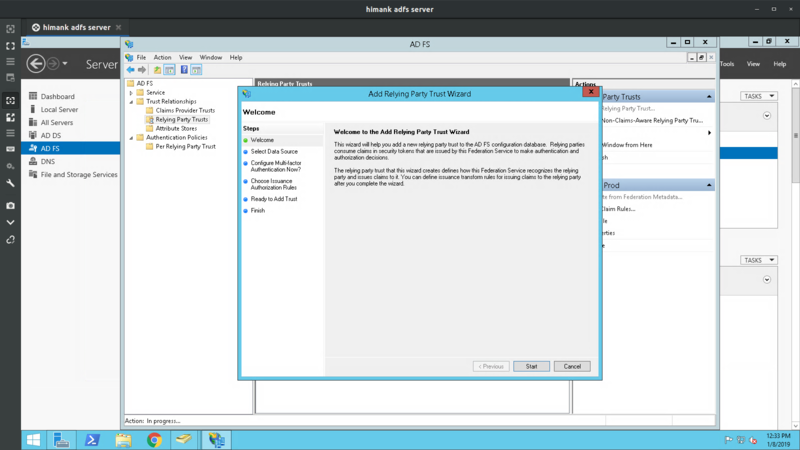 First, make sure that you have an Acquire account, Admin account with ADFS Integrations Configured. When this is configured, you can access ADFS login enabled at Acquire. 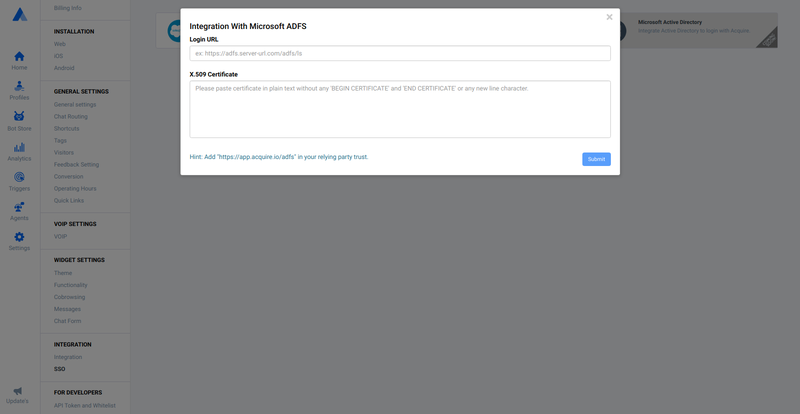 ADFS Federation Login URL & signing certificate will need to create configurations between Acquire and ADFS. 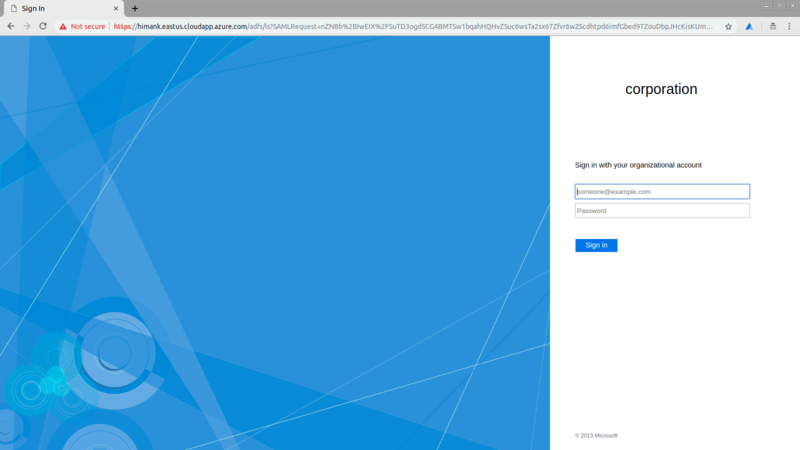 Now let’s perform some setup tasks in your Microsoft ADFS environment to integrate with your new Custom Authentication setup on Acquire. 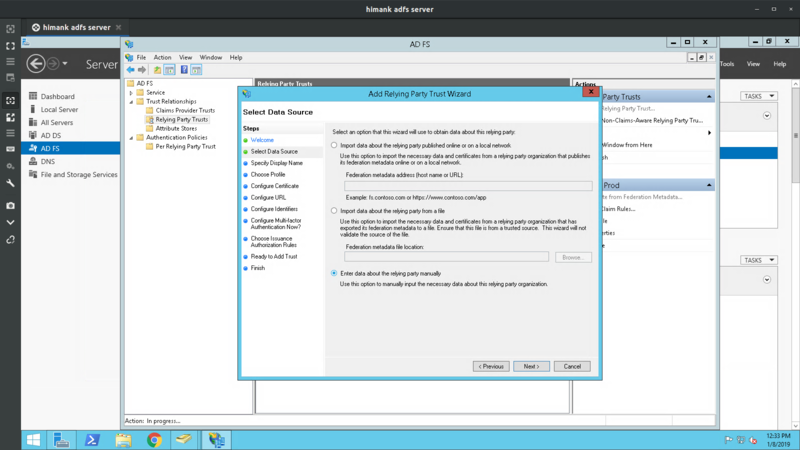 The instructions below were created from a Microsoft Windows Server 2016 running ADFS but should also work well for a Windows Server 2012 R2 infrastructure. You will need to ensure that your ADFS infrastructure is using a valid SSL certificate that can be verified. First, we need to add a new Relying Party Trust. 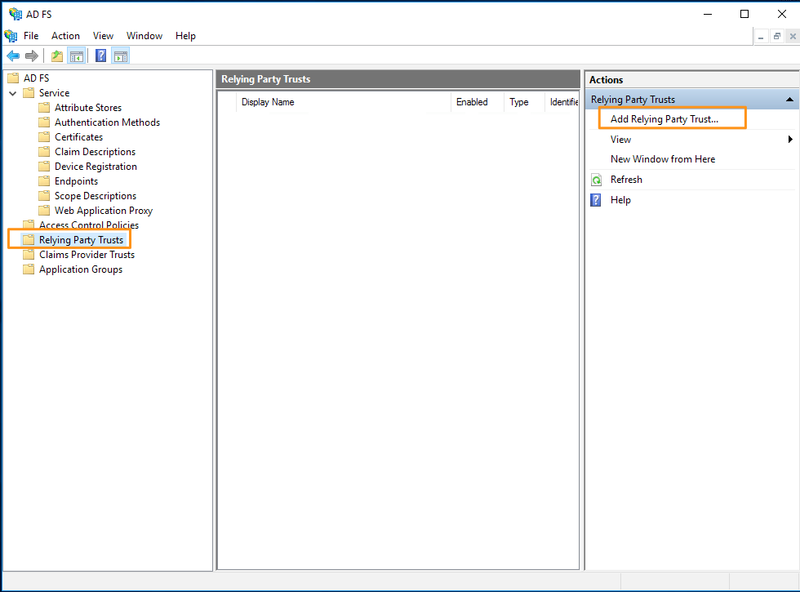 Add Relying Party Trust Wizard. On the Welcome screen, select Claims aware, then click Start. Enter a Display name on the next screen and click Next. Pass through all steps and finish The Finish screen shows that you have added the Relying Party Trust successfully. Leave the checkbox checked for Configure claims rules wizard, so that we can easily proceed to the next steps. 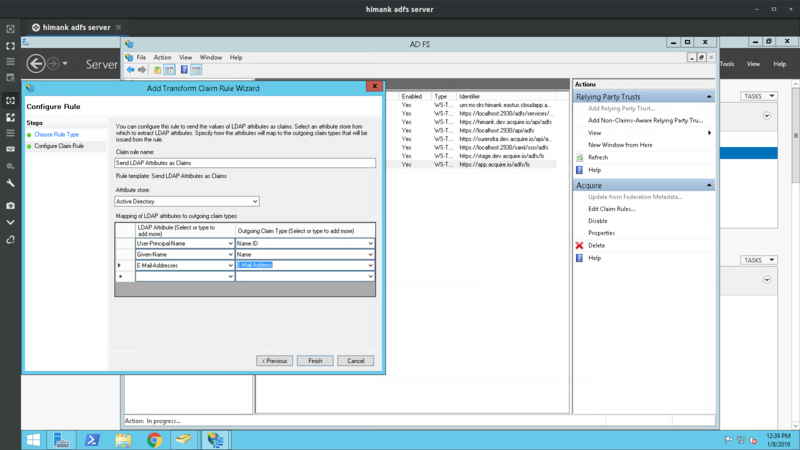 On the Configure Claim Rule screen, enter a Claim rule name and enter the info. On the Choose Rule Type screen, select Send LDAP Attributes as Claims, then click Next. Name your Claim rule name. We’ll now add three LDAP attributes to outgoing claim types as follows. Click Finish, once completed. Select Pass through all claim values, then click Finish. 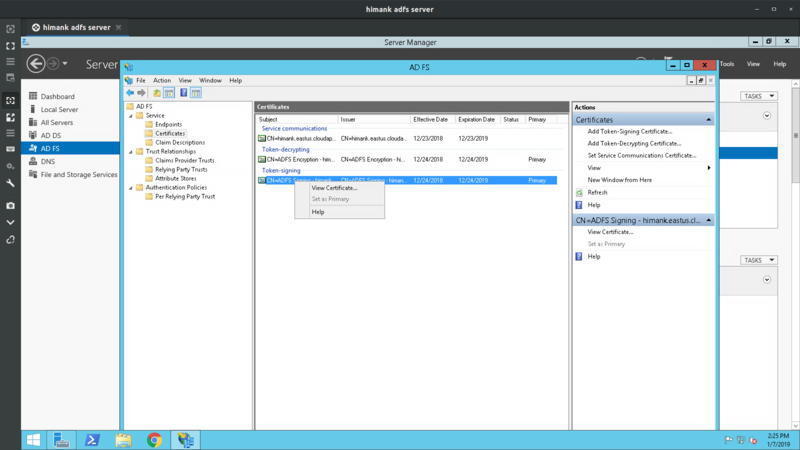 Pass through certificate export wizard, save and copy certificate and add in acquire configurations. Now in this step, you need to configure with Acquire. 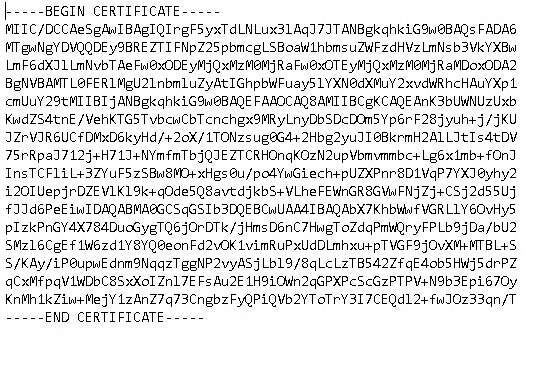 You will need ADFS Federation Login URL & Token-Signing certificate. Let’s add configuration & save. The above URL is case sensitive. If the login is successful, you will signed-in to Acquire automatically and redirected to the dashboard.